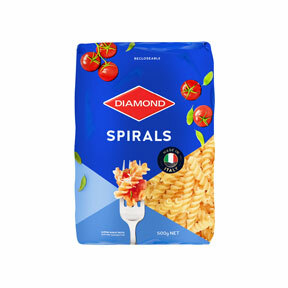 Spirals are a great choice for this dish which can be served hot or cold. Cook the chicken covered in a lightly oiled frying pan until the juices run clear. Cooking time will depend on the thickness of the chicken. As a guide, tenderloins will take about 3 minutes each side and breast 6 – 9 minutes each side. Cut the broccoli into small florets. Trim the stem and slice it thinly. Cook the spirals to packet directions, adding the broccoli pieces about 2 minutes before the end of cooking time. Cook until the spirals and broccoli are just cooked. Drain well reserving ¼ cup of cooking liquid. Slice the chicken into thin strips about 1 centimetre thick. Mix through the spirals with enough cooking liquid to moisten the mixture. Mix through the pesto. 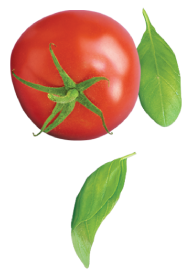 Serve garnished with basil or basil mint.